The All of Us Journey visits Cherry Hill, New Jersey on Wednesday, April 17 and Thursday, April 18. Join us and the National Network of Libraries of Medicine at Cherry Hill Public Library to learn more and get involved in the All of Us Research Program. 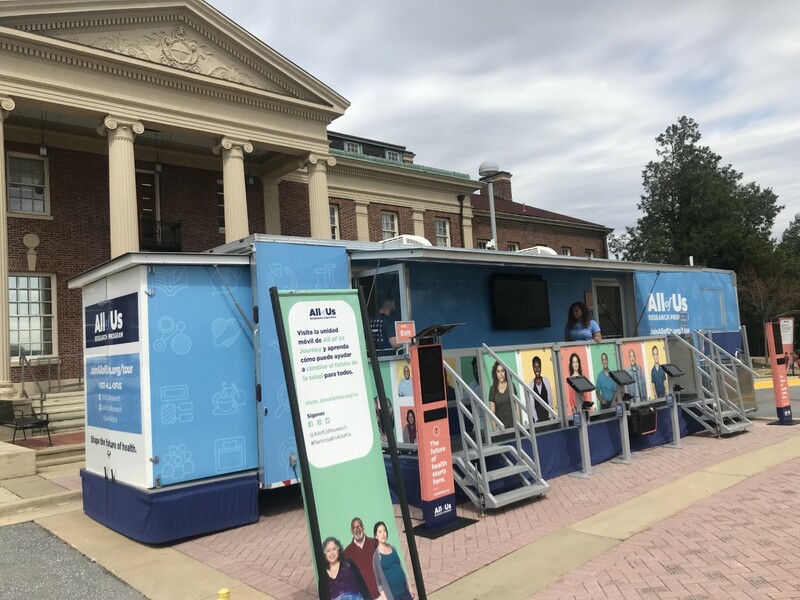 On both Wednesday, April 17 and Thursday, April 18, the All of Us Journey will be located at Cherry Hill Public Library, 1100 Kings Hwy, Cherry Hill, NJ 08034. Please note that opening times vary by day. The tour will welcome visitors from 11 a.m. to 5 p.m. on Wednesday (4/17) and 1 p.m. to 7p.m. on Thursday (4/18).